Today, Bridgeport Bow String Bridge is not only in good shape, but sees plenty of foot traffic. That wasn't always the case as this photo from 1974 shows. The first restoration was in the 1980s and there has been another major one and restoration work since then. 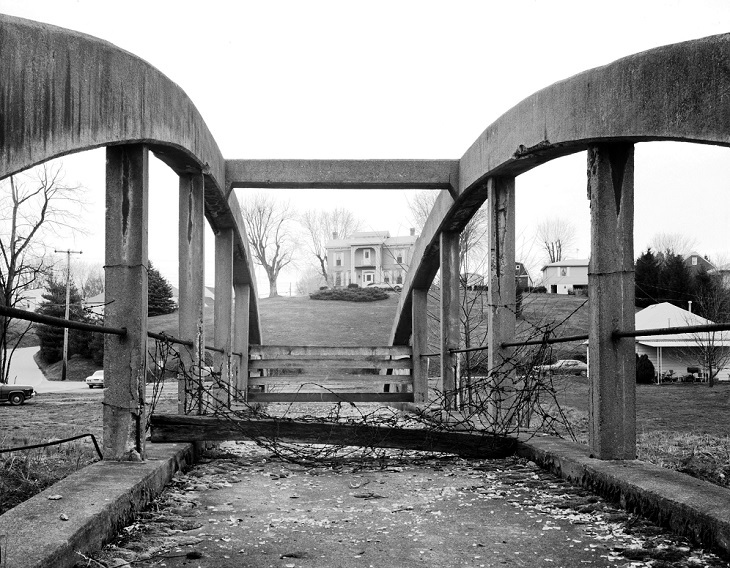 The bridge was built as a way for the workers from the nearby Lamp plant to shuffle stock to the warehouse on the other side of Simpson Creek. The Wyatt house can be seen on the hill above. Note there is no basketball court where the holding barn once stood that burned in 1965. Anyone remember these stores in downtown Salem perhaps from the 1950s or 1960s. 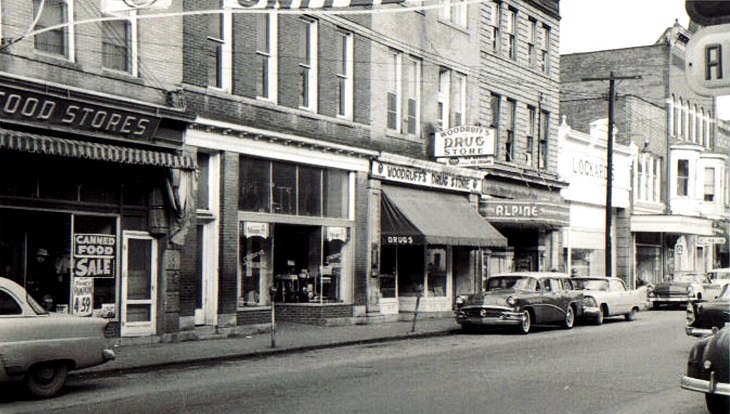 Woodruff's Drug Store, the Apline and Lockards all are shown in this photo.